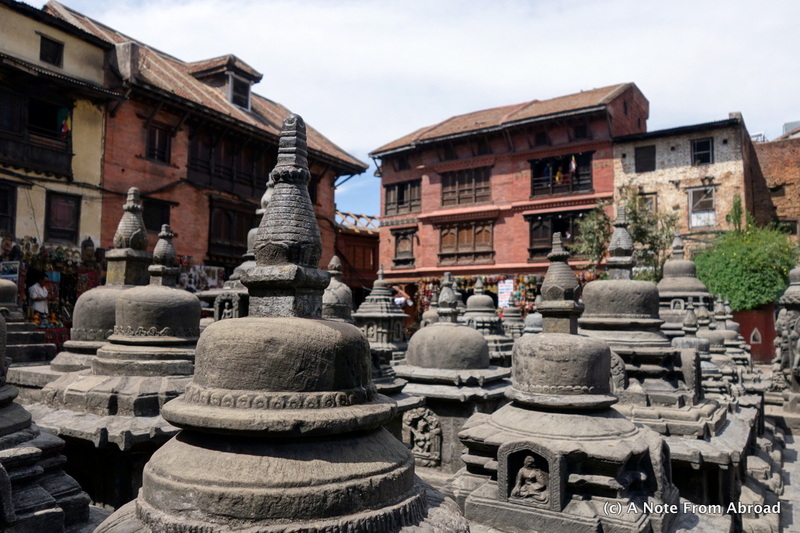 By the time we arrived in Nepal I was burned out on temples, stupas and religious monuments. 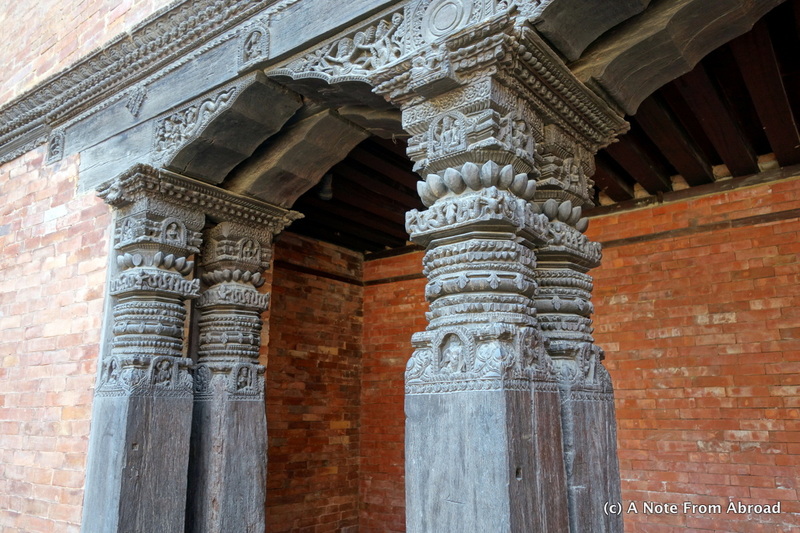 This was totally unfair to Nepal, which has an abundance of UNESCO World Heritage Sites, several of which we saw. I was also still suffering from Delhi Belly for the first couple of days which did nothing to help matters. I did however immediately notice that Nepal was cleaner, quieter, and calmer than the places we had visited in Northern India. There was less desperation in the voices of the sellers and fewer beggars. Instead of trying to capture every building from sixteen different angles I focused (literally) on faces and smaller architectural details. Perhaps in the days to come I will revisit the pictures I took and attempt to do more justice to the culturally important monuments. 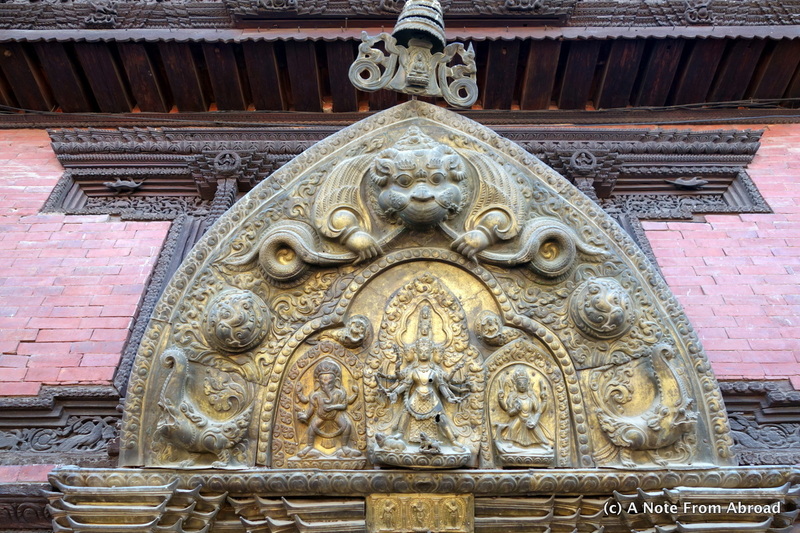 But in the meantime, here is my summation of Nepal in faces, places, mountains and the Living Goddess Kumari. Well, really this should be labeled a tiny taste of some of the architecture, structure and forms. However that did not rhyme with faces, so please humor me. The Himalayan mountain range is home to the tallest peak on earth, Mt. Everest. There are over 100 mountain peaks here that exceed 23,000 feet in elevation! Several members of our group set out early one morning and took an airplane ride to view them. They got a crystal clear view and reported back that it was one of the highlights of the trip for them. We had debated whether or not to go, and sadly decided not to join them. This is as close as we got with them barely visible behind us. A tiny peek at a big peak taken at Nagarkot. On a clear day Mt Everest is visible from here. 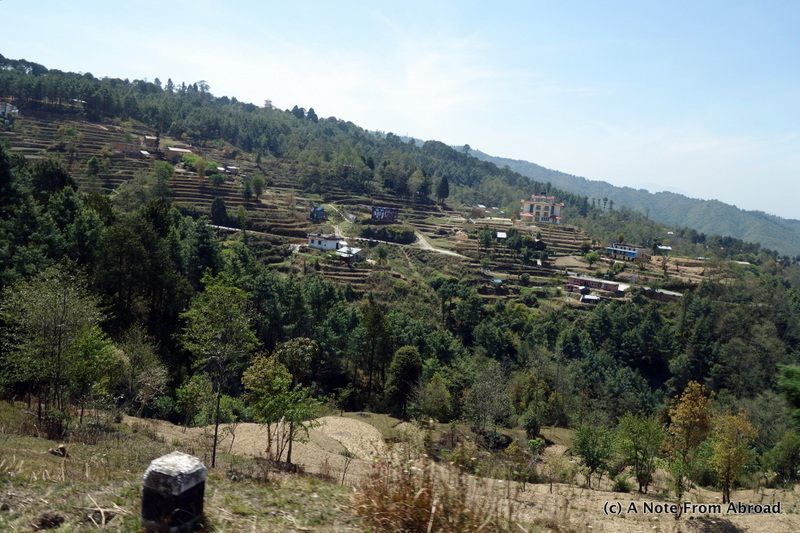 The drive up into the mountains did allow us to see some of the terraced farming in the area. 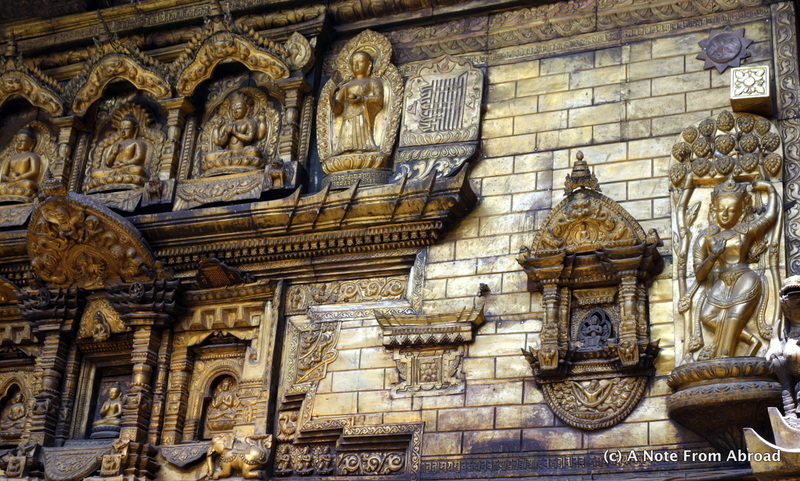 I had heard about Kumari, but did not realize that we would be going to visit her home on Durbar Square. About every 6-10 years a pubescent girl is selected to be the Kumari or Living Goddess. I hope you have the time to read about the ritual, selection process and life of the Kumari that can be found by clicking on the above link. GRATITUDE MOMENT: Today I am grateful for the many people who willingly allow me to take their picture. If possible I ask before clicking, but sometimes the opportunity occurs suddenly and I quickly take a shot to capture a moment. 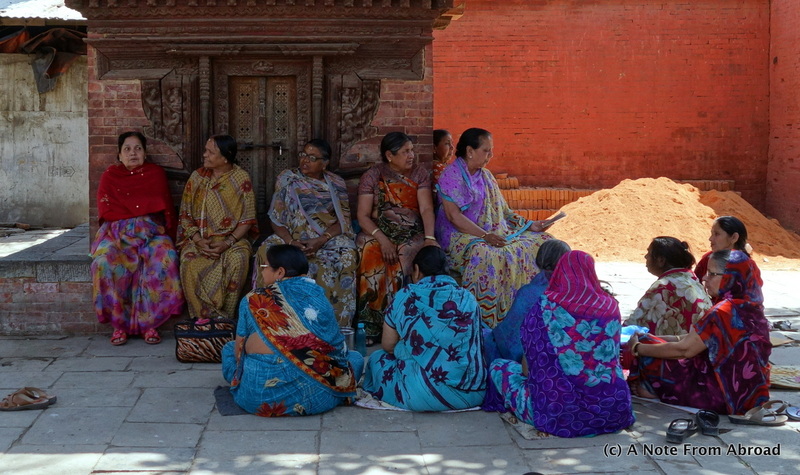 This entry was posted in Asia, Nepal, Photography and tagged Faces, Himalayan Mountains, Himalayas, Kathmandu, Kumari, Living Goddess, Nepal, Photography, Travel, UNESCO. Bookmark the permalink. 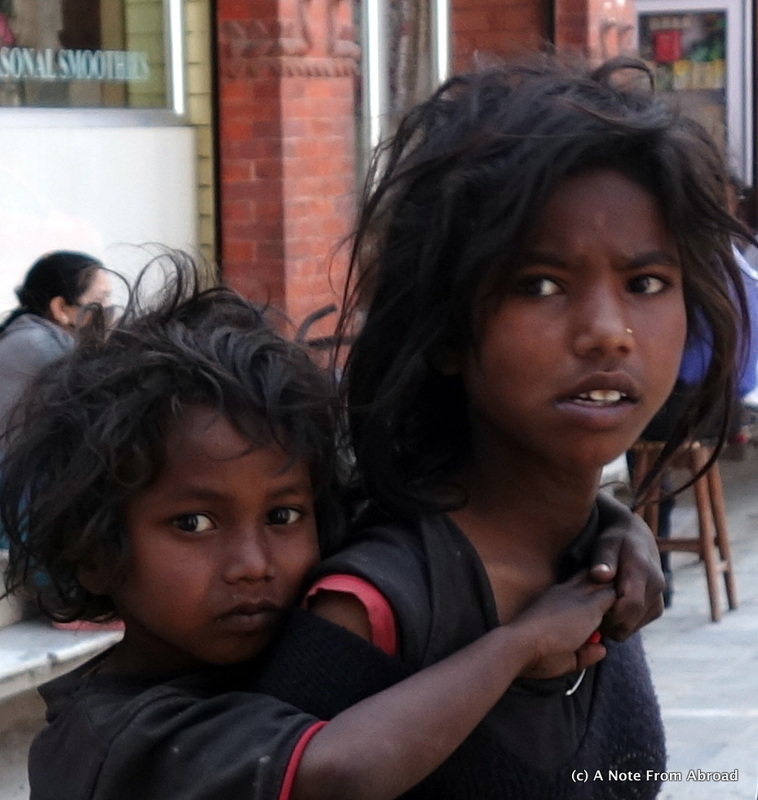 Not trying to hide poverty in Nepal (the country is one of the world’s poorest) but photos 2 and especially 3 are not representatives of Nepalis. Dinesh, thank you for your input. If you are Nepali, then I’m sure you have a much greater understanding than I do of what is a fair representation of people from your country. 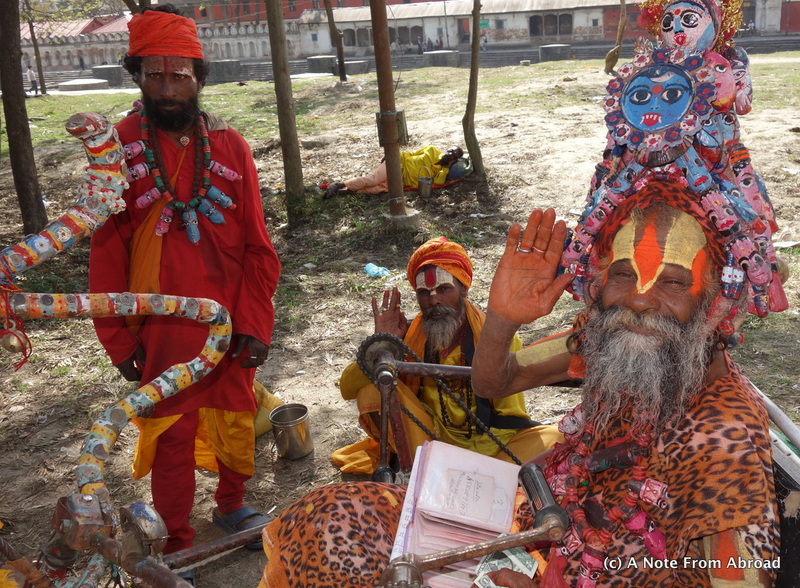 These pictures are only a sample of what was seen through my camera lens and what I experienced as a tourist in Nepal. Thank you. I understand you. Nothing wrong in posting the pics. Just felt that people who visit this page should know that. 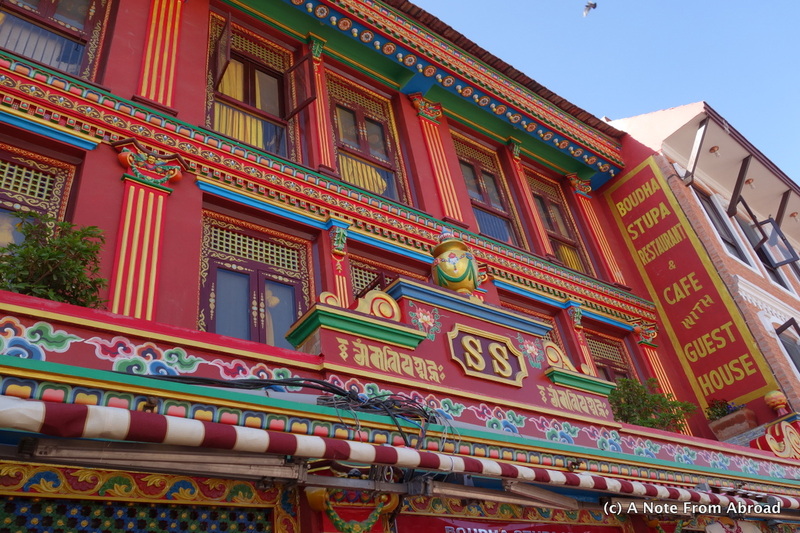 Most yogis in Kathmandu are from India (nothing wrong again, many of them like to be here). Same with many beggers in Kathmandu. Stunning photos! 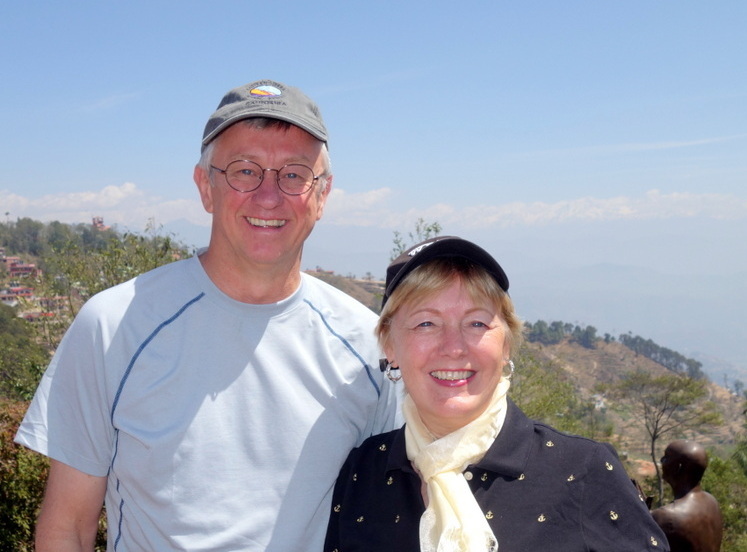 This blog entry has boosted my excitement for my Nepal trip in April 2015. 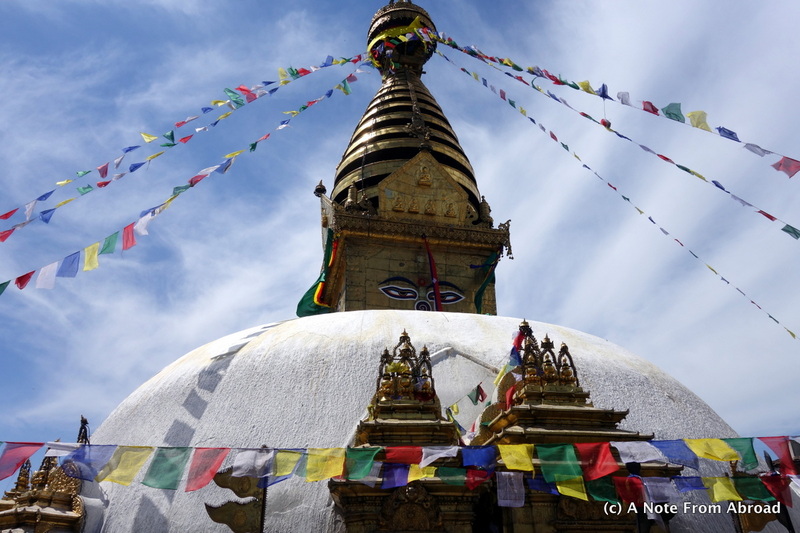 Do you have any tips to suggest while exploring Kathmandu? Lexie, I’m sorry I don’t have anything specific to suggest regarding Nepal. What I can say though is that the people there were so warm and friendly. It seemed more laid back and a bit less chaotic compared to India. I wish you safe travels. I’m sure you will have an amazing adventure!